Women have been using “all natural anti-aging” elixirs since the time of the pharaohs. But, do these replacement hormones have any real effect? Are they safe? Marla Ahlgrimm answers these questions and more in the following brief interview regarding HRT. Q: What was the first commercially available HRT? Marla Ahlgrimm: Premarin was the first brand available in the US. It was released in 1941 and has been a hot topic among women’s healthcare professionals since. The original formula, which is still available today, contains estrogen collected from the urine of pregnant horses. In the 1970s, it was discovered that Premarin increased the risk of endometrial cancer in those who took it. Since 1976, it has carried a warning label. This is perhaps what started the scientific push to create bioidentical hormones. 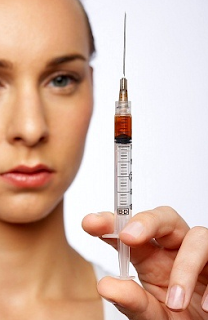 Bioidentical hormones are exactly the same as those occurring naturally in women. Marla Ahlgrimm: HRT can be very effective for controlling the symptoms of menopause and other hormone-related conditions. It is not, however, an “out of the bottle” remedy and must be tailored to each specific woman. Q: Should all women take HRT at menopause? Marla Ahlgrimm: No, the choice to use hormone pills, patches, or creams is an individual decision, and one that may not even be necessary. Some women are not bothered enough by menopause symptoms to make any adjustments to their daily routines. Studies suggest that for some women, the minor risks of heart disease, stroke, blood clots, and breast cancer associated with HRT are outweighed by potential benefits. This is especially true for women who have extreme symptoms during menopause, including severe hot flashes, chronic insomnia, and bone loss that does not respond to other treatments. Q: How are bioidentical hormones matched to a woman's unique needs? Marla Ahlgrimm: A compounding pharmacy is the best choice for women seeking a true bioidentical product. Developed in cooperation with a medical doctor after measuring the woman’s current hormones, they are then customized for maximum benefit, using the smallest dosage possible to achieve desired results.